We have been at it again. 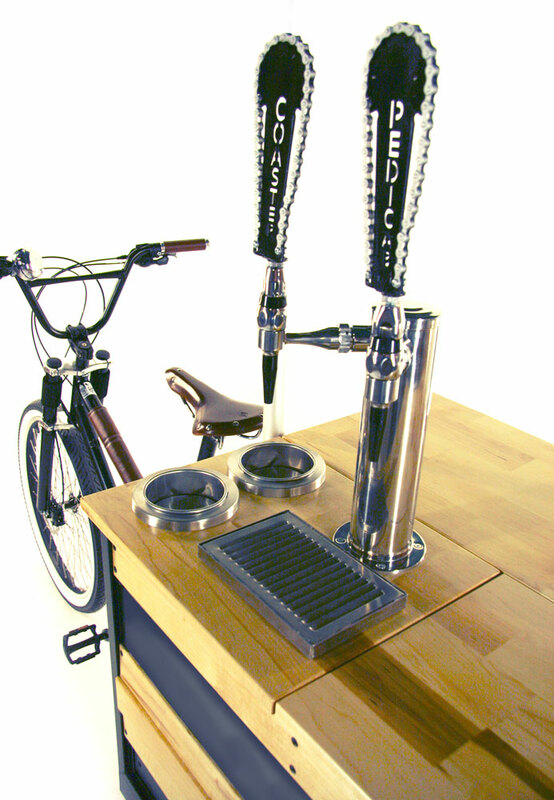 What better way to serve up your perfect cup, than the Coaster Nitro Coffee Bikes. It’s mobile, quiet,agile and practical. Best of all— memorable and fun! Based off of our Cargo Mini chassis and hand-built from the ground up in our Montana factory, our newest offering pours with the quality and craftsmanship you have come to know in Coaster. This beauty rolls easily in and out of crowded festivals, markets, and events, and sets up in mere minutes. Take a closer look under the hood. A 24-speed (3×8) drive-train makes the journey to your destination comfortable and enjoyable. Additional features such as under canopy LED lighting keep you shining night or day. Parking brake locks hold you securely in place while parked. The canopy and box panels provide generous space for marketing and create a memorable brand presence that promotes long-term customer loyalty. Its time to get your brand and your best beans squarely in front of your customers in an eye-catching way that they will long remember. The possibilities are as infinite and fun as your imagination. CONTACT US to get your entrepreneurial dream in gear!